The origin of this book is the compelling evidence that a high proportion of machinery-related deaths and injuries are attributable to genuine and serious risks originating within machine design and construction. This trend continues despite significant legal obligations, notably the European regulatory regime giving effect to the Machinery Directive (among others), and a substantial body of specialist knowledge originating in the disciplines of human factors and safety engineering. Grounded in empirical research with machinery manufacturers, this book aims to elucidate the factors and processes shaping firms’ performance for machinery safety, and considers their compatibility with legal obligations. 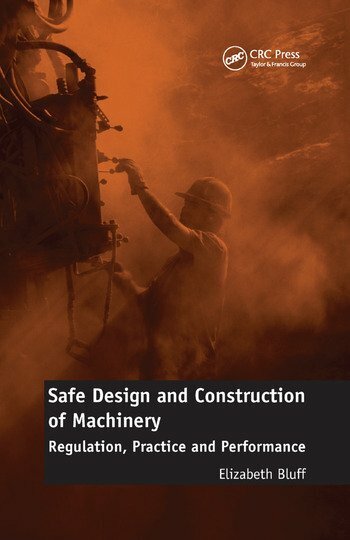 Through a unique blending of rich empirical data coupled with safety, human factors, socio-legal and learning scholarship, the book provides both a nuanced account of firms’ performance for machinery safety, and makes conceptual and theoretical contributions to understanding and explaining their performance. Specifically, the book elucidates the role of knowledge and motivational factors - and how these are constituted - in shaping firms’ performance. It reveals the multiple state and non-state influences that create plural responses among manufacturing firms, which typically operate in supply chains and networks, and often globally. These insights provide the foundations to enhance regulatory design, and the book’s conclusion recommends some innovative directions for regulatory interventions to sustain the safe design and construction of machinery. Introduction. The Legal Obligations for Designing and Constructing Safe Machinery. Machinery Manufacturers’ Performance for Substantive Safety Outcomes. Awareness of Legal Obligations for Machinery Safety. Encounters with Regulators. Practice, Learning and Performance. Assessing and Managing Risks. Motivational Factors and Performance. Conclusions, Theory and Policy Implications. Appendix Research Design and Methodology. References. Index. Dr Elizabeth (Liz) Bluff is a Director of the National Research Centre for Occupational Health and Safety (OHS) Regulation and a Research Fellow with the Regulatory Institutions Network at the Australian National University. She has a Bachelor of Science (Hons), Masters of Applied Science in Occupational Health and Safety (OHS), and a PhD for her research in the field of OHS regulation. Liz has worked in the OHS field for thirty years in positions spanning academic research, policy and standard setting, postgraduate education for OHS professionals and organisational OHS management. Her research is multidisciplinary with a focus on health and safety regulation and governance, risk management, safe design, and the sociological and psychological factors shaping safety performance and compliance with state regulation. Liz is the author of a number of peer reviewed articles relating to these research interests, and is also the author of Work Health and Safety Law and Policy, Thomson Reuters 2012 (with Richard Johnstone and Alan Clayton), and editor of OHS Regulation for a Changing World of Work, Federation Press 2004 (with Richard Johnstone and Neil Gunningham). She is a regular contributor to research reports, health and safety standards, and policies and strategies for national and state health and safety agencies and regulators in Australia.